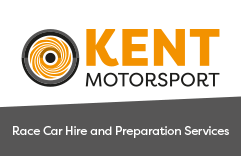 Kent Motorsport is a new business founded by Yaser Almaghrbi. Yaser has been sprinting and racing cars for many years, it is his passion. 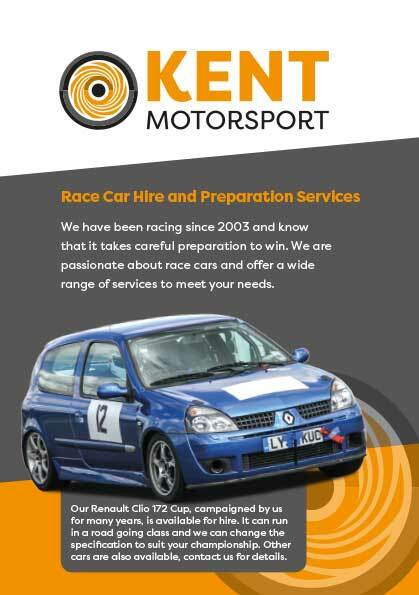 He set up Kent Motorsport to offer various motorsport services including the hiring of his race cars. These are cars he has built and developed over many years of competition. 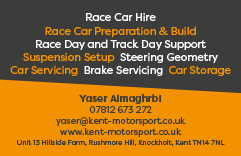 We met with Yaser and discussed what we could do to help him get Kent Motorsport off the ground. 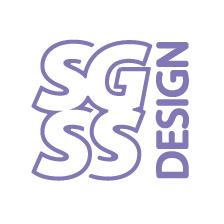 We started by designing him a logo, a business card and A5 flyers. 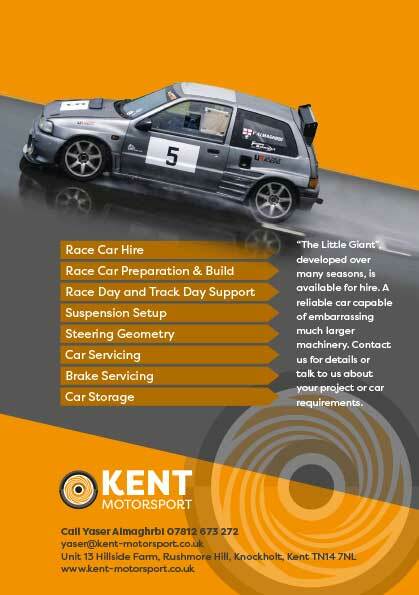 We then produced a website. 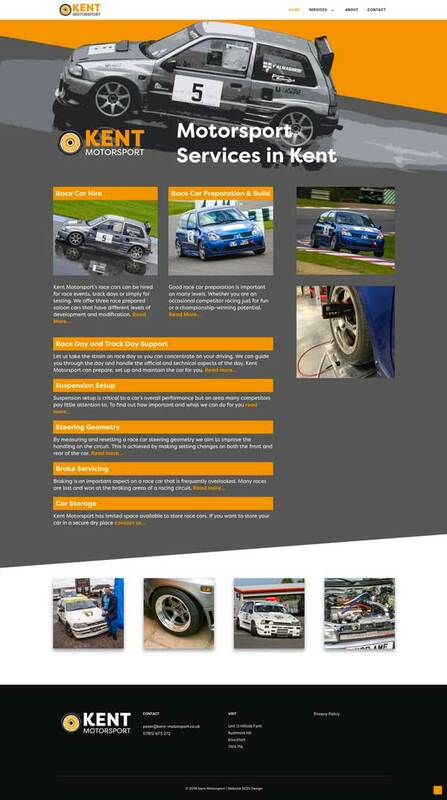 We worked with Yaser to write copy for the site making sure to not just say what he does but also to explain the importance of the services on the performance of a race car. It is important for search engine ranking to explain services and demonstrate knowledge and expertise. Search engines will use this information to rank a website well, increasing the chances of the site being found by your potential customers. It also helps those customers too as the copy also has to convince them that it is a company worth contacting.